Spinal pain is a challenging condition seen all too often by healthcare providers. Fortunately, a wide range of braces (orthoses) are available to assist with treatment. Spinal bracing is often prescribed to provide post-operative positioning and protection. In other cases, they may be used as a treatment following a trauma or to treat the symptoms of a progressive disorder. Whatever the need, BioMetrics offers both prefabricated and custom spinal braces. Effort is placed on providing patients with an effective brace, but also one that is comfortable. 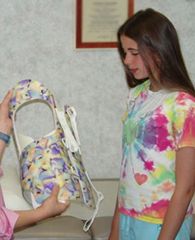 When an orthosis is comfortable, patient compliance increases along with the chances of a positive outcome. 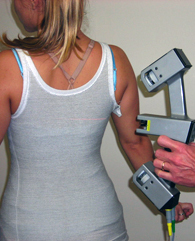 An effective scoliosis brace is one which slows the rate of progression of the curve. Often these braces are prescribed for young people, (especially young women). Adjusting to the concept of wearing a brace during school and activities can be difficult and create both emotional stress and a reluctance to wear the brace as prescribed. Our clinicians are sensitive to the discomfort some patients may feel about wearing a spinal orthosis in the community, and are prepared to provide support and education to assist patients throughout their treatment.